WhoDat Nation got a glimpse of life without Brees last night! I'm not willing to morgage the farm at his age, not at all. I'm not sure the Saints are either. leilung, darstep and jeanpierre like this. He is easily worth a 4 year deal. 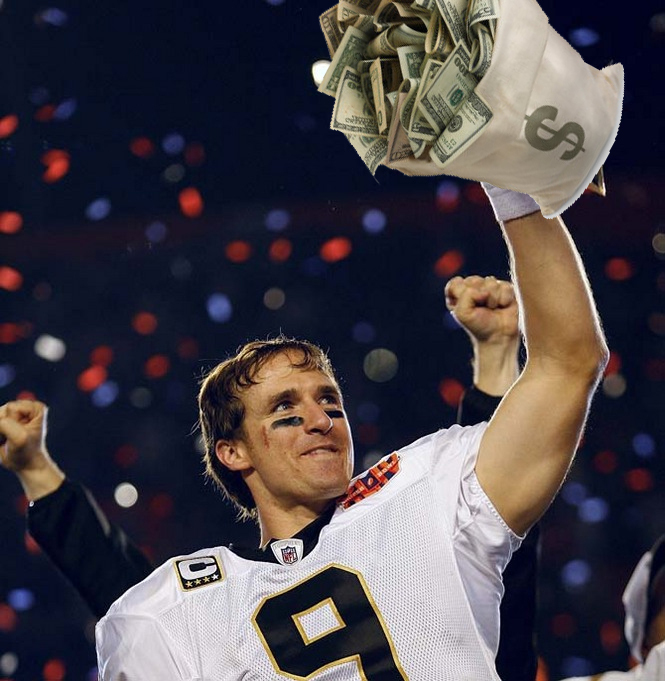 There are ways to pay Brees and not mortgage the farm. jnormand, leilung, B_Dub_Saint and 1 others like this. 4 years 100 mil, 75 guaranteed. leilung, AsylumGuido, darstep and 1 others like this. You don't have to be. You won't be paying for him. Some of you act like these players are payed with tax dollars.